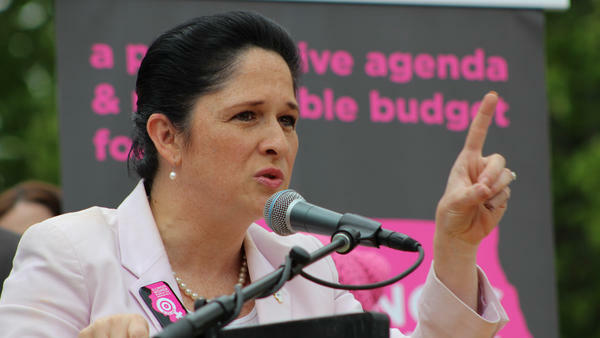 Illinois Comptroller speaks at a rally outside the Illinois Captiol in this file photo from 2017. The firm Morneau Schepell was part of a plan by former Gov. 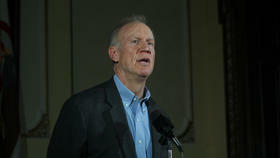 Bruce Rauner intended to save $500 million. It created the MyBenefits Marketplace, an online benefit management system that was also to have served as a health insurance exchange for 450,000 state and university employees and retirees. The savings would have come from those individuals paying significantly more money for health coverage. Instead, it has cost Illinois upwards of $27 million — with no savings. Mendoza is also ordering annual reviews for all information technology contracts. Her office says the Rauner administration repeatedly failed to hold Morneau Shepell accountable. A recent audit noted dozens of times when Morneau Shepell failed to meet performance metrics. That could have been considered a breach of contract, but the state’s agreement with the company failed to include such language.